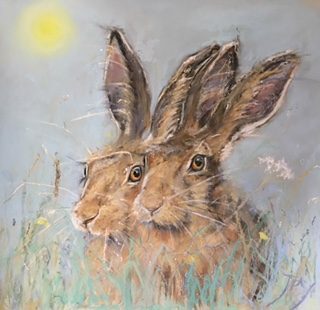 Jo has been painting and drawing for as long as she can remember but it wasn’t until later in life, as an assistant to the Head of Art at a school in North Yorkshire, that her love of animals and wildlife inspired her to paint seriously. 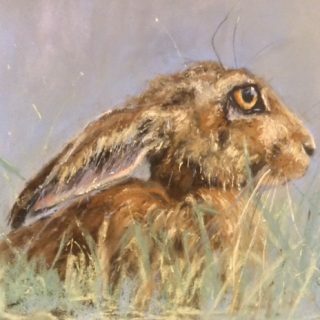 She was lucky enough to have been able to observe brown hares on farmland around Fountains Abbey and her passion for painting them in watercolour, pastel and oil developed from there. 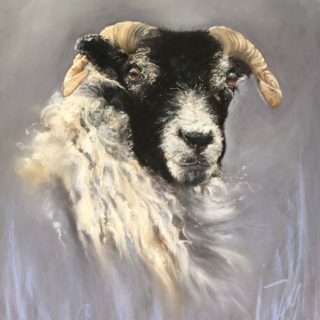 She found being able to observe them at close quarters amazing and was overwhelmed by their beauty, energy and mysticism. 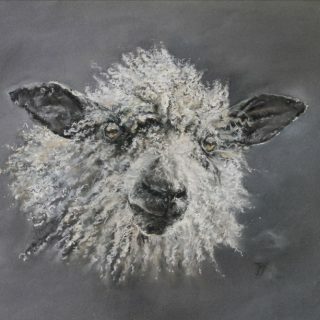 She loves to be able to try to capture something of this and to create personality in each animal she paints. 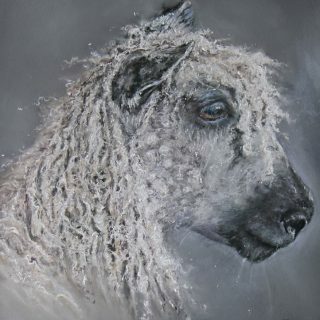 Sheep also inspire her to paint; They have such character and soft pastel, she finds, works well to achieve vibrancy and texture. Jo has recently moved to the Jurassic Coast. 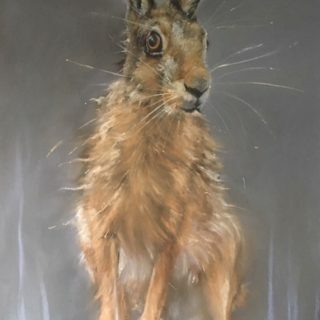 She now loves to observe the sea and the sky with the same awe she felt when observing wildlife and she is fascinated with the ever changing elements. The wind, the rain, the sun and the way the moon affects the tide. She says ‘you can look at the sea and sky and think ‘I have to capture this’ …but you have to be quick!’. 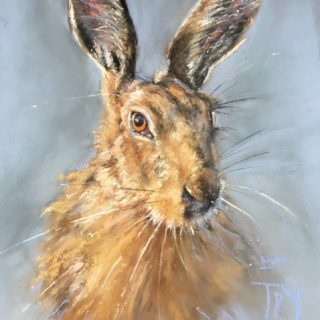 Jo’s husband is equally keen on wildlife and his photography of the hares that inhabit the farmland around Studley Royal have been of great importance as reference to her work.